Rain barrels are all the rage these days! Did you know that 623 gallons of water can be harvested from 1 inch of rain on a 1,000-square-foot roof? 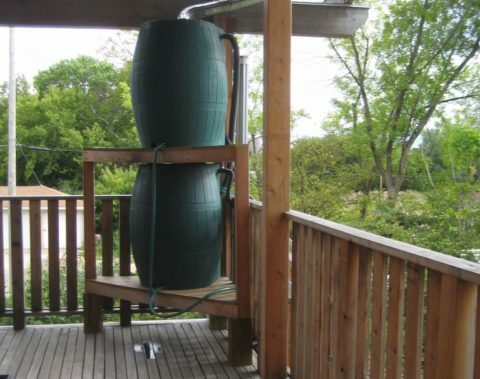 In terms of rain barrels, a typical 1/2-inch rainfall will fill a 50- to 55-gallon barrel. DO keep pets and children safe by making sure your rain barrel has a sturdy top. DON’T cook with or drink water that’s been collected in a rain barrel. DO make sure all openings on your rain barrel are screened to keep out mosquitoes. DON’T use old barrels that formerly held something toxic. 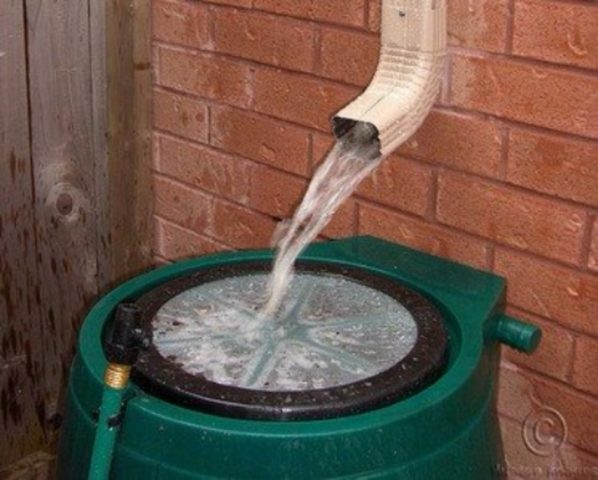 DO make sure your rain barrel adapts for overflow (either direct excess rainwater away from the barrel or link multiple barrels together). If the water in your rain barrel gets starts to smell (or turns green), try adding goldfish! They keep the water very clean by eating the algae that turns it green. However, don’t dump the goldfish in a stream or river because they’re invasive. Instead, give them to a child with a fish tank or return them to the store. Barley-straw pellets are another option. They kill algae but won’t harm plants. A DIY option is to pour a small amount of vinegar into the water. It should clear it up relatively quickly. As a bonus, the vinegar also kills mosquito larvae.